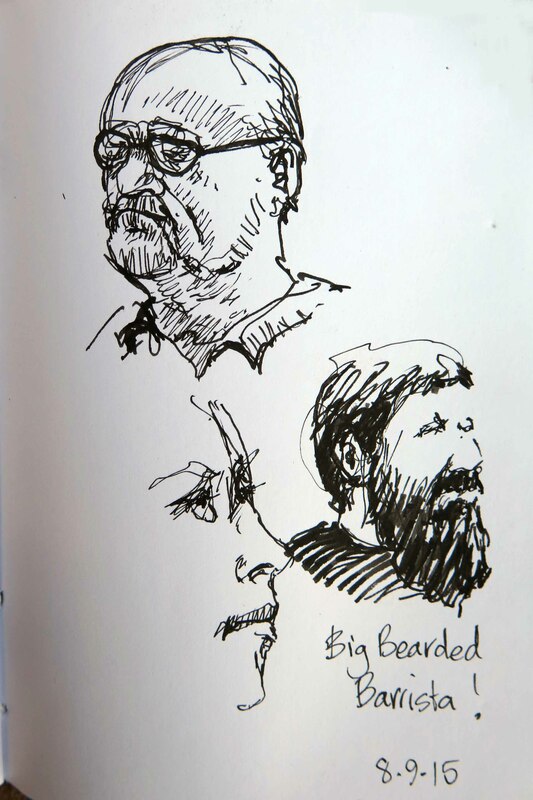 Quick sketches of people in the cafe, a guy reading the paper, a lady looking wistful (I drew her forehead wrong), the barista had a very impressive big beard…..Using the Sailor Fude pen again….I have a love/hate relationship with this pen. 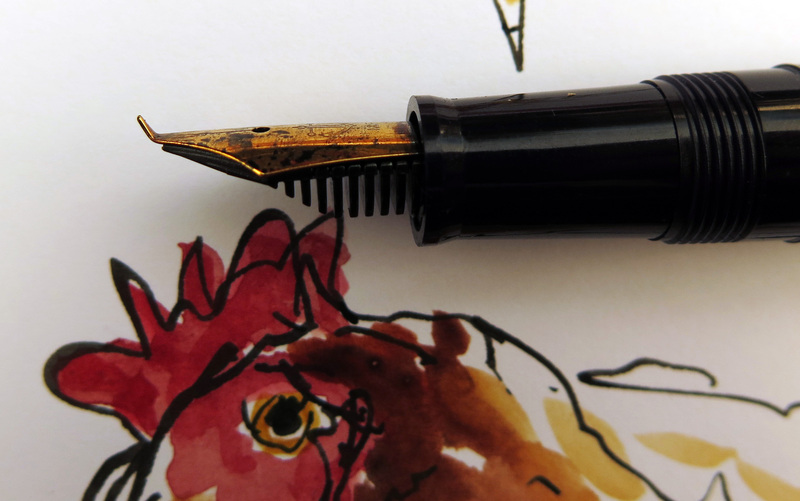 Great to be able to produce such a variety of lines with the one pen….super-fine lines when the nib used upside down, very wide fat lines when laid on it’s 55′ angle. 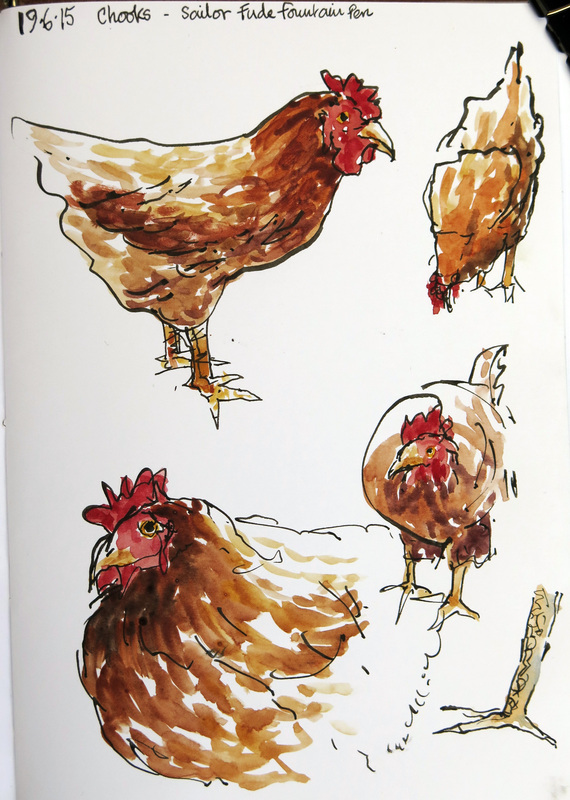 But to get a “normal”weight line I have to hold the pen differently to my usual drawing position…. more upright which just feels strange. I probably just need more practice….”a bad workman blames his/her tools”!